This is not ... Punxsutawney Phil. This is just a run of the mill woodchuck who visited my gardens last summer and dined on my flowers. I consider him, and others like him, a nuisance. I have other choice words I could use to describe him and his buddies .... but, well ... I'm sure you get my drift. And don't get me started about the deer! They eat more greens than I do! Where was I? Oh, yes ... Groundhog Day. No doubt many of you have heard of Pennsylvania's most famous weather predictor,Punxsutawney Phil. 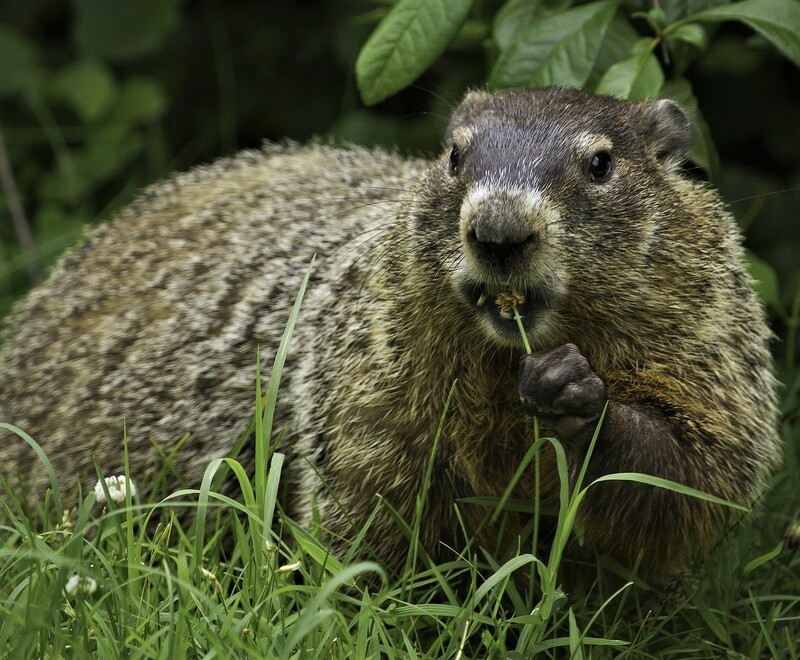 But did you know that there are many other groundhogs in the weather forecasting business? Eleven in the United States and some in Canada, Serbia, Germany, and England. And they all have this supposedly uncanny way of determining the weather. The story goes, if the groundhog does not see his shadow on February 2nd, it will be an early spring. If he sees his shadow and runs back into his underground burrow ... drats! 6 more weeks of winter. Newsflash! Since 1887, Phil's gotten it right only 39% of the time! 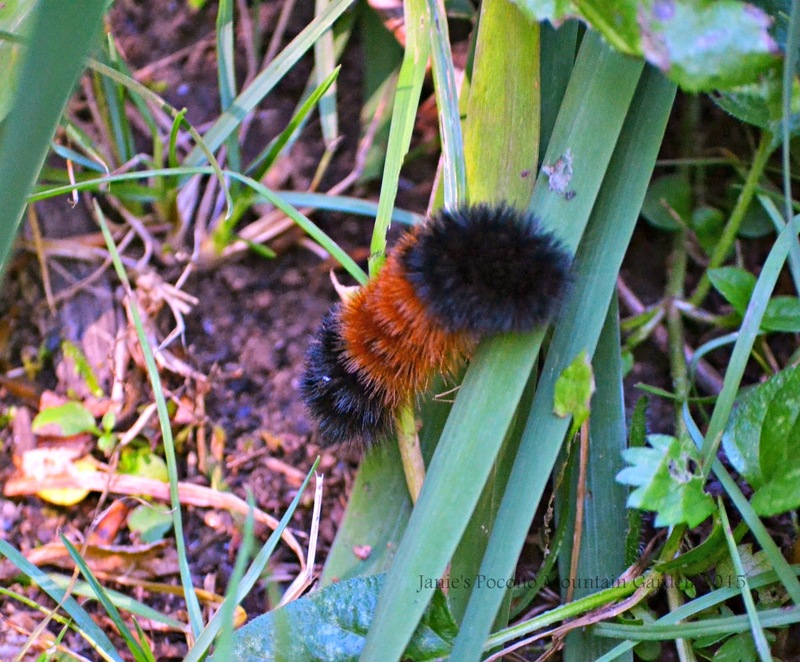 See this colorful little fella above, he's a Wooley Bear Caterpillar and many folks believe he is a better weather predictor than Phil and his friends. The Farmers Almanac for Winter 2019 has predicted a bitter cold, snowy winter for the northeast with mid-February bringing extreme cold and snowy conditions. Well, right now it's the end of January, and at the moment, it's 2 degrees but feels like -17 degrees. Early this morning the wind chill was -30. There is still a lot of winter to come. But ... there's always a But ... the Old Farmers Almanac predicts a mild, wet winter for us. So, both almanacs contradict each other, and the Wooley Bear Caterpillar is no help! So, folks it's a toss up! Deal with it! Drats!